I have lived near the ocean my entire life however I am not a Beach Bum in the slightest way. 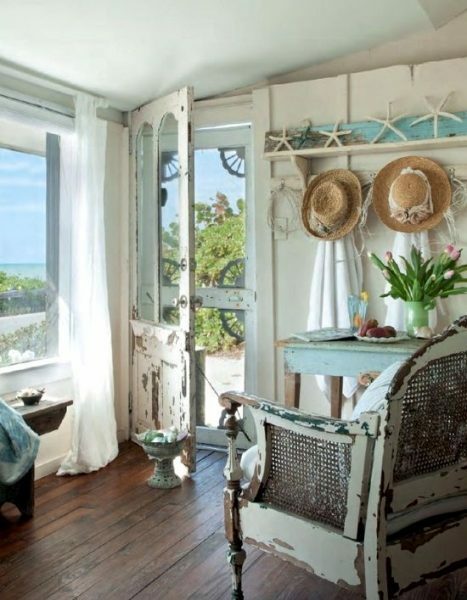 I do however appreciate the comfortable and relaxed feeling beach cottage style bestows upon a home. Having such a nostalgic heart I really love beach decor with a vintage vibe. Incorporating a vintage feeling into your seaside retreat is easy to do and the thrill of the hunt can be the best part of it all! If it is in your budget to splurge adding retro appliances in a pretty aqua blue will add instant vintage charm to your coastal kitchen. I love how the colors of the appliances pop against the bright white in this beautiful kitchen featured at BHG.com. The dark wood of the beams and flooring warms up the space as well. 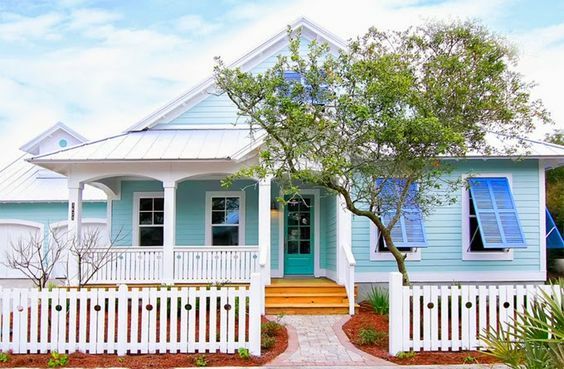 You just can’t lose by adding a touch of aqua blue to a beach style home. The soft splashes of aqua adds to the cool and relaxed feeling of this Florida shabby chic inspired beach retreat created by Posh On Palm. The chippy furniture really makes a statement that says “Come in, kick off your flip flops and stay awhile. 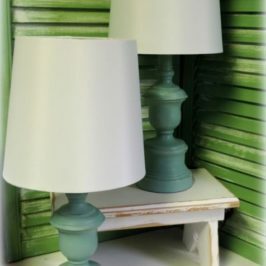 Don’t worry about the sand on your feet.” To create this look yourself scour your local thrift stores, flea markets and yard sales for nice chippy, weathered pieces. 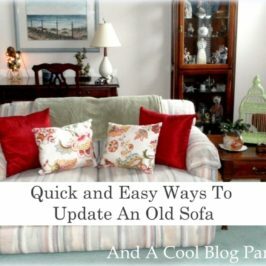 Many people may not see the beauty in a “shabby” chair or table and give you a great deal on it. Painted mason jars are all the rage right now. 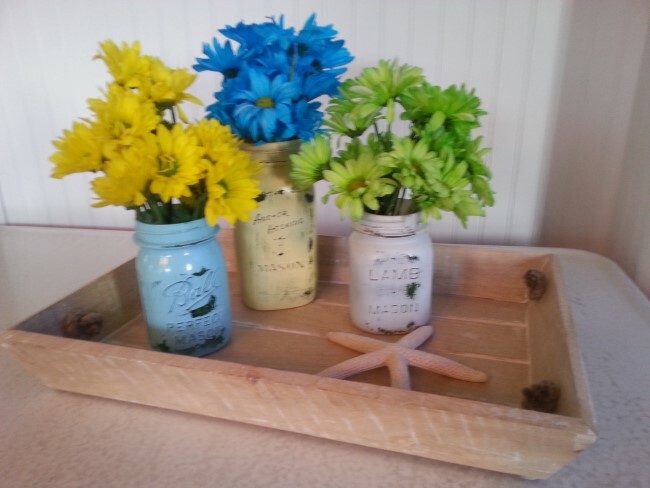 A few jars filled with flowers and displayed in a tray with a single starfish has the makings of a wonderful beachy centerpiece for a coffee table, counter top or dining table. 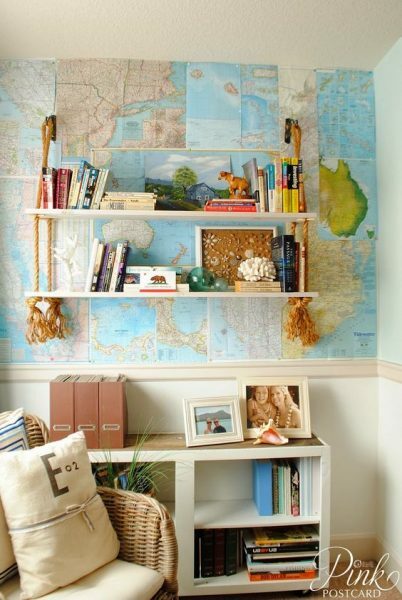 Denise from Noble Vintage got creative with maps in her vintage beach inspired home office. She decorated one wall of the room with an assortment of maps. Clever idea. Doing the same technique with a few vintage or reproduction vintage nautical maps would really make a statement in a vintage beach inspired home office. This upcycled wire basket chandelier almost had me drooling on my laptop when I saw it on Pinterest. 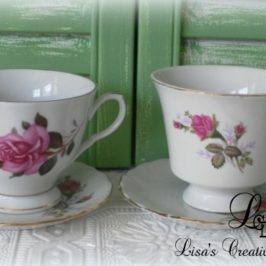 It would be perfect hanging in a vintage inspired seaside kitchen or dining room. 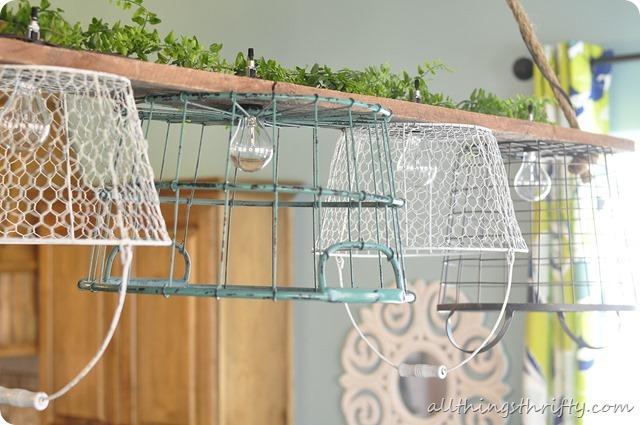 You can find DIY instructions on how to create your own wire basket chandelier at All Things Thrifty. 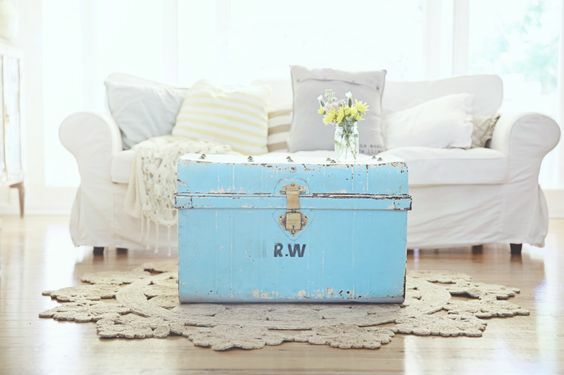 Vintage trunks like this gorgeous aqua blue one that Sarah from the popular blog, A Beach Cottage features in her living room can be beautiful and functional. What a great place to stash extra blankets, pillows or magazines for quiet afternoons on the couch. Whether you live near the ocean or just dream about it, decorating your beach inspired home with vintage style coastal decor will give it a warm, nostalgic relaxed atmosphere. Lisa, all these homes are perfect for the beach look! We live in a beach town, and our home is decorated more in a French Country style, but little touches of aqua blue are how I share my love of the ocean in our home, and in our garden. 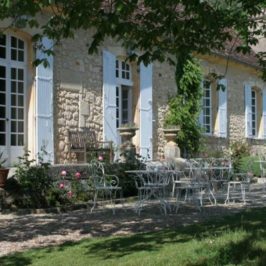 I love the French Country look. I am hoping to finally see Paris next year. 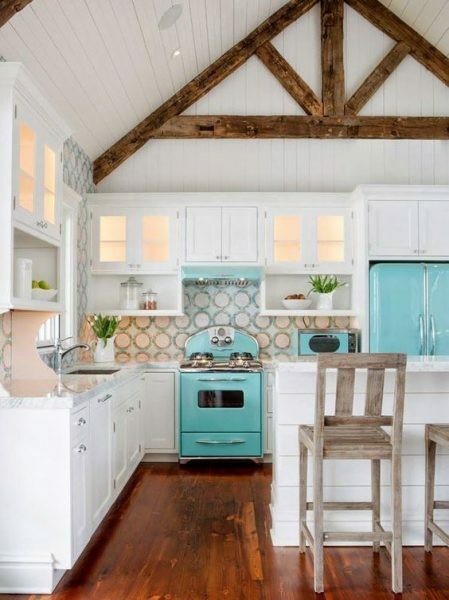 My home is done with more of a cottage theme but I often use touches of aqua throughout my home. 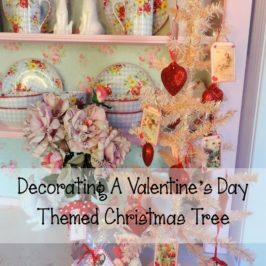 My living room is French Country from top to bottom but I have added a few pieces of coral and starfish that have been painted and glittered. 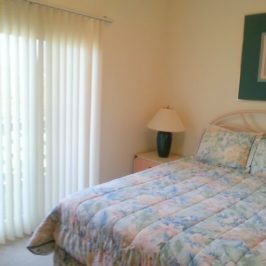 It brings in a touch of the beach and incorporates my husband’s giant salt water aquarium that lives in the room.